The Summer Olympics 2012 are in full swing. Is there anything more exciting that seeing the best athletes in the world compete for their chance at a gold medal? 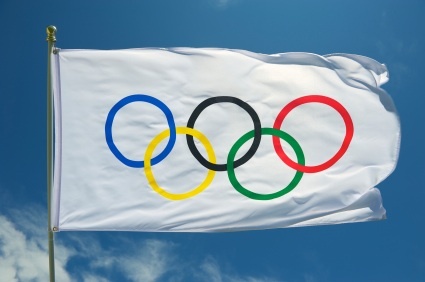 As I have been watching the Olympic events unfold over the past week, it dawned on me that there are several lessons we can take from the Olympics that can apply to a job search. I. Perseverance in the Face of Adversity ~ In an interview with Gabby Douglas, the gymnast who won gold, she explained how she made huge sacrifices to train to become the best. She endured grueling workouts in the gym, terrific homesickness, and her single mother made huge financial sacrifices for her training. Through it all she persevered and reached her dream. Obviously getting a job may not feel as magnanimous as winning a gold medal but it is still an important achievement. In today’s competitive market, it is absolutely essential not to give up. You may need to try different tactics, reach out to more folks, hire a coach, or get additional credentials. Don’t give up. II. Focus on the task as hand ~ All of the Olympic champions seem to be able to block out all the noise, cheering, commentary, and competitors during their competitions. They are able to focus with discipline and do their thing. Don’t let the distractions of modern life keep you from completing your job search tasks. Step away from the tv, don’t check the latest Facebook status of your friends, let the twitter stream flow by, let your phone roll over to voicemail and get it done. Focus on what you need to do: set up the informational interview you have been putting off, draft the cover letter, submit the grad school applications. III. Be a gracious loser ~ There are far more competitors than gold medals available in each sport. Some competitors will go home with the gold and some will not. In today’s uber competitive job market the situation is similar. You will not be offered every job you seek. However, if you are gracious, even when rejected, you never know what might happen. There is nothing wrong with seeking input on what you could have done differently in an interview. Or asking what differentiated the candidate who was hired from you. Seeking input in a gracious, respectable, kind manner is always acceptable and can yield great lessons. IV. Dream Big ~ As the saying goes, “Every expert was once a novice.” There was a point in time when Michael Phelps did not know how to swim. Take a moment to marinate on that reality. So much of what we do in the workplace is learned through trial and error, education, mentors, and observing others. We all have innate talents that we can tap. However, these talents must be cultivated in order for us to shine. Don’t give up on your dreams. If there is a job that you want, figure out a path to getting it. It may take time, and sacrifice but there is a way to pursue the kind of work that you were born to do. Did you ever volunteer for a cause or event with an ulterior motive? Yeah, you were excited to do something to benefit the community, but secretly you hoped to meet a new friend or maybe even someone interesting to date? I think this can happen with job networking groups too. Folks may join a group thinking that if they boost their career a bit from gleaning something the guest speaker shared at the breakfast that would be great, but secretly there is the hope that more might come from it. I suggest you do a gut check on why you are joining a networking group, then read this candid and useful entry written by Anne Brenoff entitled, “Five Things You Don’t Know About Job Networking Groups And Should,” on Walletpop. There is no harm in exploring one’s job options even if you are happily employed (and in this economy grateful). This entry explores the idea of seeing if the grass is truly greener on the other side of the fence so to speak. I encourage you to read this interesting entry from Vault.com‘s blog on Three Reasons Why The Happily Employed Should Take That Interview.